We don’t do hospitals. We don’t do schools. We do wineries. It's not that we couldn’t design a hospital or a school, but if that’s what you want, your interest would be better served by retaining an architect who specializes in that kind of work. If you want a winery, though, don't go to somebody who specializes in something else. Come to us! Heiland followed these instructions carefully, and spent two weeks moving his folding chair around before he ever set foot in his new employer's architecture office. Then he was put to work designing wineries under the famous winery designer's direct supervision. This experience proved invaluable to Heiland, and he is looking forward to putting his Napa Valley experience to work on your winery. In Napa, many wineries are built by people who have no intention of making money. They build them tospend money. There are 1645 billionaires in the world, and many of them own property in Napa. Few of them actually live there full time, but the obligations of maintaining an extravagant lifestyle are strenuous, and obviously include owning a winery in Napa to impress your friends. If you are eighty years old and you are feeling anxious because you have to blow a hundred million dollars before you die, what better way to start than by building a winery? This isn’t Napa. People in Southern Oregon and Northern California build wineries with the unusual notion that they want to make money. If that is your intention, Heiland Hoff Architecture is the place to start. Heiland Hoff was born in Roseburg. He worked for years as an agricultural laborer, and he put himself through architecture school working as a humble carpenter. As an architect, he has worked for some of the richest people in the world, but his preference is to deliver a delightful project that emphasizes function over ostentatiousness, and thrift over extravagance. His hands-on background in construction, as well as his experience living and working on vineyards, will serve to produce your new winery on time and under budget, whatever that budget may be. designed by Doug Osborn and Heiland Hoff, A.I.A. A typical 5000 case winery requires about 2400 square feet of barrel storage. This assumes barrels stacked two high, with enough room around each barrel to access with a pallet jack. Fork lifts require more space, but we recommend restricting fork lifts to the main work area. If the pallets of bottled wine are also to be stored in the cave, of course more space will be required. Heiland Hoff has considerable experience in the design of wine caves in the Napa Valley, where boring into hillsides is common practice, because productive vineyards are so valuable that it is economically feasible to finance the enormous expenses of tunneling just to avoid destroying existing vineyards. Tunneling is not regulated by the Building Code; it is regulated by OSHA Underground Construction Standards 1926.800. The process can be performed by various methods such as Mined Tunneling Methods (e.g. NATM, SEM, Shotcrete Method, SES) and Mechanized Tunneling Methods (e.g. TBM, EPBM, Shield Tunneling.) All of these approaches are prohibitively expensive, and also present significant public safety concerns due to the dangers of fire and collapse. However, where there are no existing vineyards planted yet, and especially in Oregon, where vineyard land is less expensive to begin with, Heiland would strongly advise using simple cut-and-cover methods, using standard top-down earth-moving equipment instead of boring equipment to remove the soil, and then building structural supports and covering the completed structure with soil. Such an operation can typically be delivered at one-tenth the cost of a bored cave. Alternatively, energy savings similar to an underground wine cave can be obtained with well-constructing barrel rooms below grade in the basement below the winery. This greatly decreases construction costs. Heiland Hoff performed his architectural internship in Marin County, California. 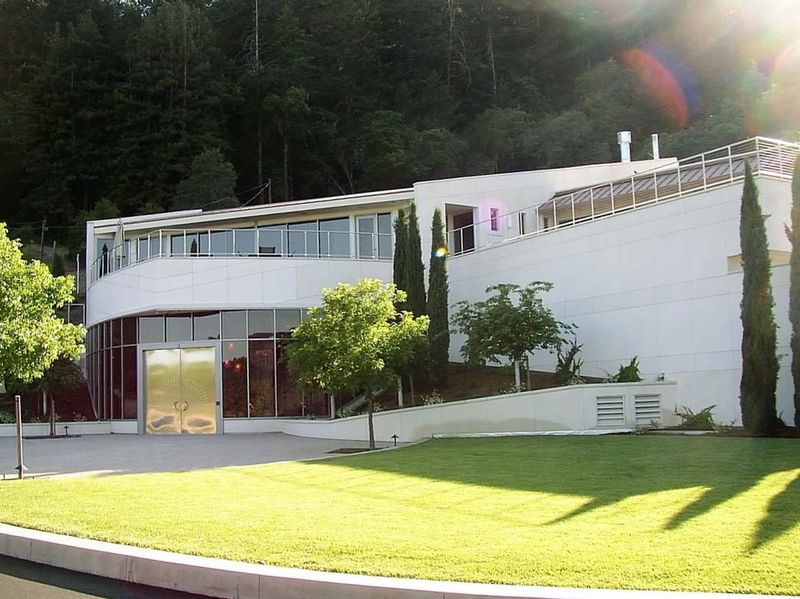 After he obtained his architect's license, he moved to the Napa Valley. He worked for 16 years in California architecture firms before he started his own architecture firm in Oregon in 2002.